The timeline shows the Swatch Group's revenues worldwide from 2003 to 2018. 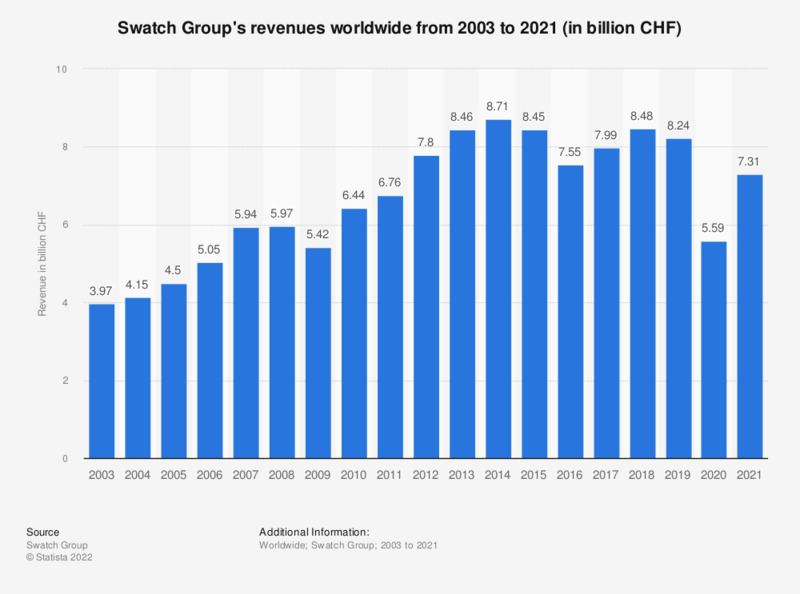 In 2013, Swatch's global revenues amounted to 8.46 billion CHF. The Swatch Group Ltd. is a Swiss company manufacturing watches. It was formed in 1983 through the merging of two Swiss watch manufacturers: ASUAG and SSIH. The company took its present name in 1998. CHF is the acronym of Swiss Francs; currency of Switzerland. Data for 2003 to 2010 are derived from previous editions of the publication.